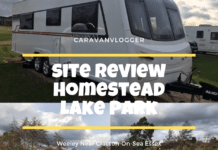 Home Caravan Blog The Perfect Caravan? 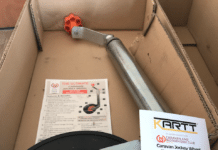 One Year On – How Is It? 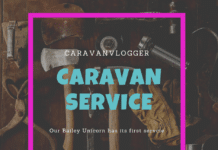 We’ve had our Bailey Unicorn IV Cartagena for one year now. 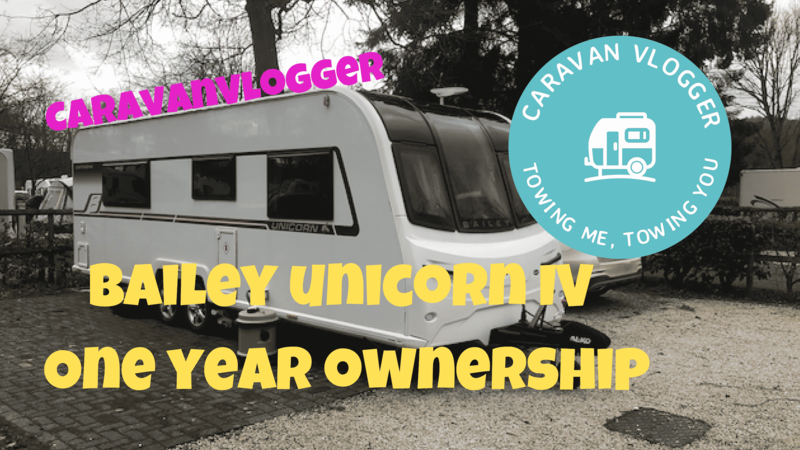 It’s about the same time I started our YouTube channel and I gave Twitter a go, as CaravanVlogger. In one respect the time has flown by, but in another we’ve done so much in our Cartagena it seems like we’ve had it for ages. We traded in our 2011 Sterling Eccles in March 2018. We’d been thinking about changing our caravan, actually now I think about it we hadn’t really. 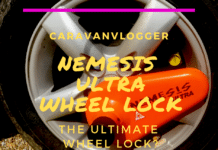 A combination of two things, firstly going to the NEC caravan show and seeing all the lovely new caravans and secondly, our Eccles having damp issues. Visiting the NEC caravan show was an eye opener, but we managed to come away without making any purchases. We returned home, but of course, the seed had seen planted and I started looking on caravan dealers websites, looking at layouts. 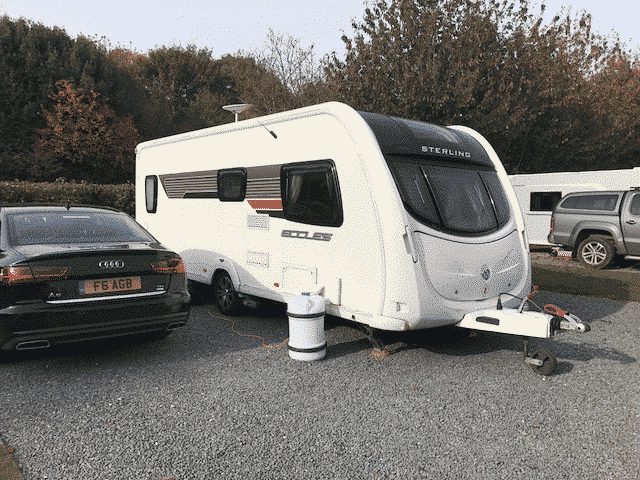 Needless to say, we did love our Sterling, but with he fear of damp and the lure of a new caravan…..Our Eccles was a traditional rear bathroom fixed (French) bed and we liked the layout. We both agreed we’d like an extra bit of room in the lounge area. That pretty much ruled out the rear island bed and middle washroom arrangement, for us, it didn’t offer enough living space and the bedrooms felt claustrophobic . The damp in our Eccles had been bothering me. I had purchased a damp meter and would torture myself by going in regularly, measuring damp and making a note. We borrowed a de-humidifer from a friend and left in running for a few days. It removed an amazing amount of water, which only left me more worried. Eventually we both settled on a Cartagena design, we only really looked at Bailey because we loved the front window so much. We’d never been Bailey fans and felt they catered more for elderly customers and those that enjoyed as much beige in their life as they could cram into it. Nothing wrong with that of course, but it wasn’t us. I spend some time grappling with the idea that actually, I was middle aged and it’s time for beige. However, I decided Bailey were not trying to attract younger caravaners and, of course, I obviously fell into that demographic. There was no way I was a middled age beige lover. Buying a caravan is a nightmare, social media can be a curse, I’d read so many people saying this caravan was bad, that caravan was bad. However, I’d become obsessed by getting “a good deal” and there was no reason for me to pay list price. I’d negotiated a good (enough) deal on our car, how much more difficult could it be with a caravan? We went to our nearest Bailey dealer. After a bit of a chat with the salesman, he was more interested in selling me finance than giving me a good deal of a caravan. I felt the part exchange value was a little low. I did the same thing as when I bought our car. Contacted half a dozen dealers and go with the one that was cheapest! Every single Bailey dealer came back with the same price except one. Now, I’ve been around the block a few times, so I like to think I can smell a rat when I come across one. I had a few conversations with the dealer that was offering a “deal”, however, I knew full well that our caravan had damp and I was up front about it. We agreed a price, actually, they called it the “cost of change”, which was basically the figure we’d have to pay to own the Cartagena. This immediately changes the emphasis from how much the Cartagena costs and how much we were getting for our caravan, of course, this didn’t matter, the important thing was what we’d have to pay. Anyway, cutting a long story short we ended up getting less for our caravan due to the damp in ours, which of course the dealer made a big thing about. In hindsight I’d do things differently. So, back the the subject of this article, one year on how have things been? I’ll say right now that we’re still very pleased with our purchase. Other than possibly paying more than we thought we might have to and the fact that one of the movers stopped working just before spending 3 weeks in France, oh and the difficulty we had getting it fixed because the dealer had put one year old movers on, oh and that Bailey pretty much ignore our complaint, as did the dealer. (Deep breath) It was fixed but I’m unsure of the warranty on the movers. The best thing to do is let bygones be bygones and get on with enjoying the caravan. 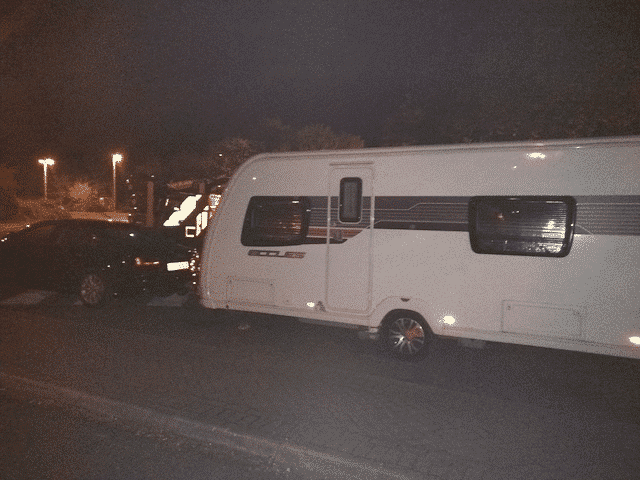 We’re getting used to the extra length, having said that it’s only 60cm longer than our previous caravan. The traverse bed gives you more of a feeling of space. The lounge seats are huge, something we love. The caravan is very light and airy and spacious. On 13th March, we had our first service. Since I’ve been more involved in social media I’ve started to worry more about my caravan. 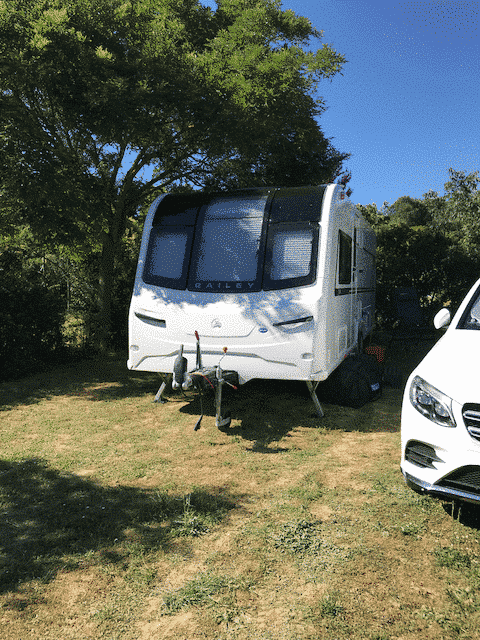 I never have done previously, but you hear so many horror stories, not just Bailey, but every manufacturer..
Well, we don’t have any regrets about buying the caravan, I haven’t seen another one we’d prefer. I think if Bailey had done and 8 foot wide Unicorn, we might have gone for that, but really, it’s such a smaller thing as to not bother us. 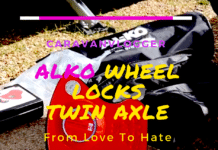 It’s the perfect layout for us, if you REALLY twisted my arm I’d say that the way the transverse bed works, with the flip up end doesn’t really allow you to pass, as it’s too near the edge of the caravan. However, the extra feeling of space it gives us during the day time is worth it. Of course, if it was 8 foot wide, maybe it would be the perfect caravan?